The first day we begin with a easy and short via ferrata in the central Dolomites. The via ferrata of the Pitl Cir, a perfect via ferrata for a introductive climbing course and a soft approach in the fantastic panoramic area of the Gardena Pass. The second day we climb the via ferrata of the Roda de Vael. 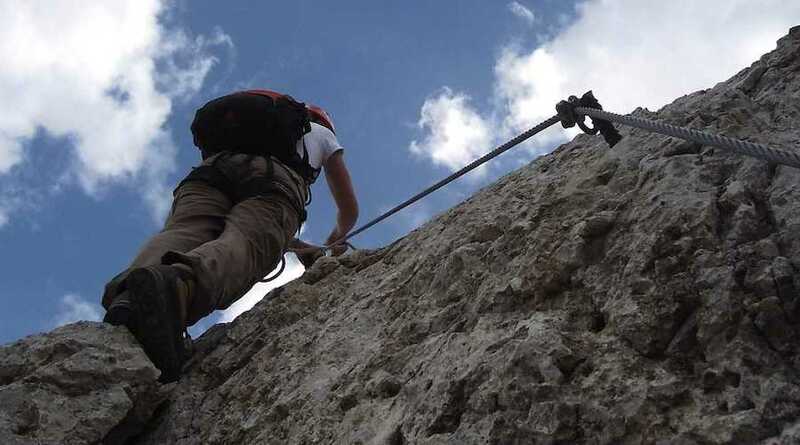 This via ferrata on the Catinaccio mountains is a traverse tour that climb the Roda de Vaèl peak from the nord to the south side. The technical difficult are moderate as the exposition in the wall, guarantee is the 360° panorama around the central, western, and part of the southern and eastern Dolomites. On the third day we complete the experience of the via ferrata in the dolomites with the most famous via ferrata….The Tridentina. This via ferrata is a classical, historical and amazing climbing that end with the suspended bridge over 200 meter of deep gully between the Exner tower and the Sella mountains. A unique experience!